Interested in going fishing in January and wondering what is running in Tampa Bay? 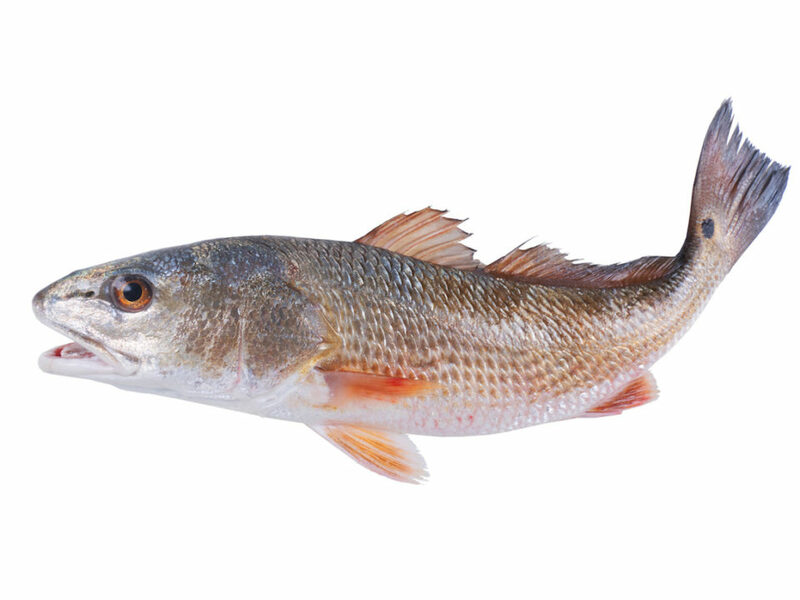 You can find redfish, snook and trout. Read below to find out about each type of fish. 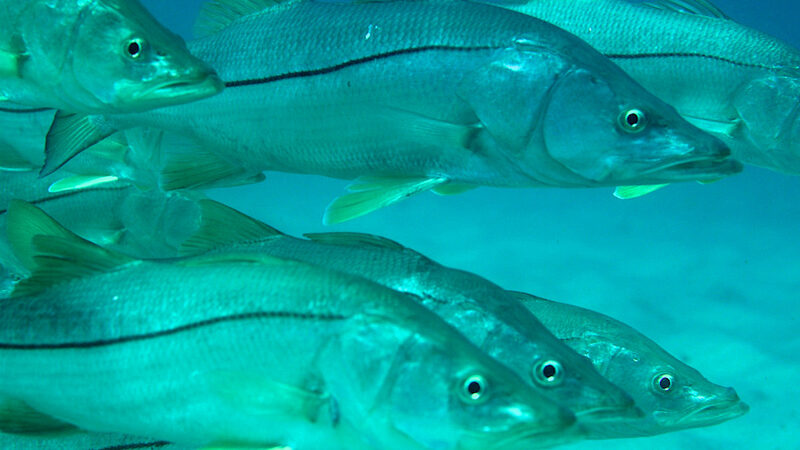 Snook are saltwater fish that belong to the family Centropomidae. 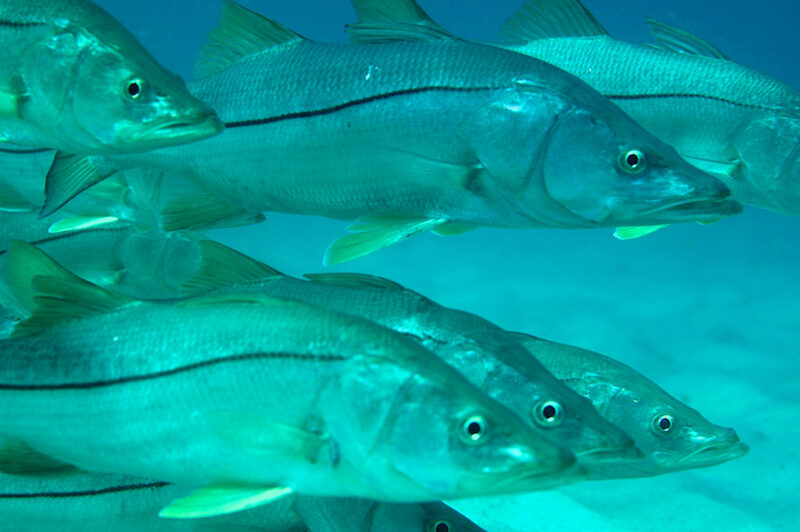 Snook are the only fishes in the Centropomidae family. 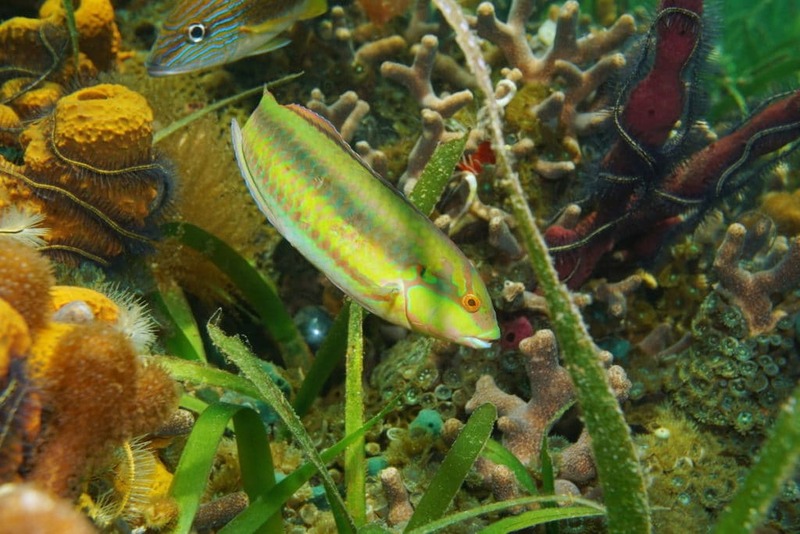 There are 12 recognized species; five live in U.S. waters. They differ in overall size and the size of their scales. 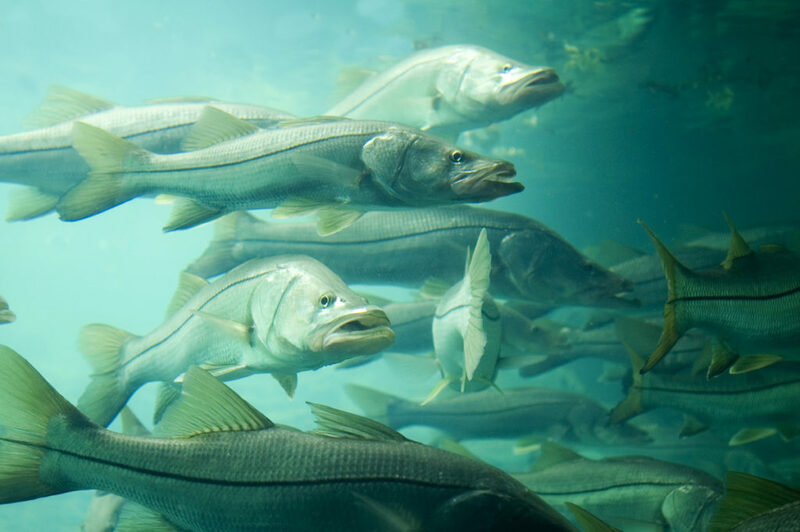 The main snook of interest to anglers is the largest member of the family called the Common Snook (Centropomus undecimalis) which is also known as the Robalo or Sergeant Fish. Snook like to hang around docks, sea walls, bridges and jetties. Places that can be accessed by boat as well as on foot. Inlets and passes, especially John’s Pass and Clearwater Pass — anywhere there is a good, fast flow of water. 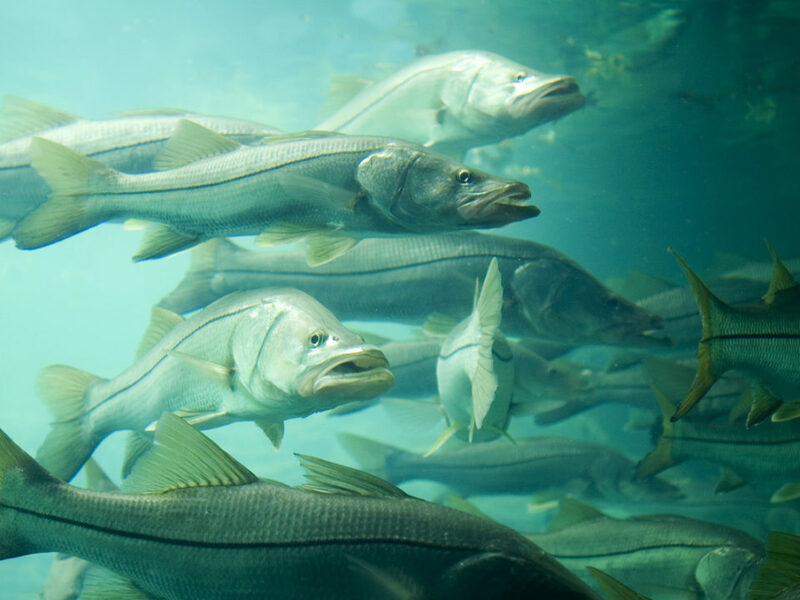 Snook are seldom found in waters deeper than 60 feet. May and June are the best months here on the Gulf Coast, and fishing at night is most productive for very big fish — not just during the peak of a full moon. Snook meat is white with a medium firmness, not as delicate as trout but not as dense as swordfish. It is a good idea to take the skin off. That’s why it is nicknamed the soap fish. Just take off the fillet, remove the skin, add some seasonings or marinade, pitch it in the fridge, and you’re done. Cynoscion nebulosus, the spotted seatrout, also known as speckled trout, is a common estuarine fish found in the southern United States along coasts of Gulf of Mexico and the coastal Atlantic Ocean from Maryland to Florida. Spotted seatrout are carnivores whose feeding habits vary with size. Small trout feed primarily on small crustaceans. Medium-size trout feed on shrimp and small fish. 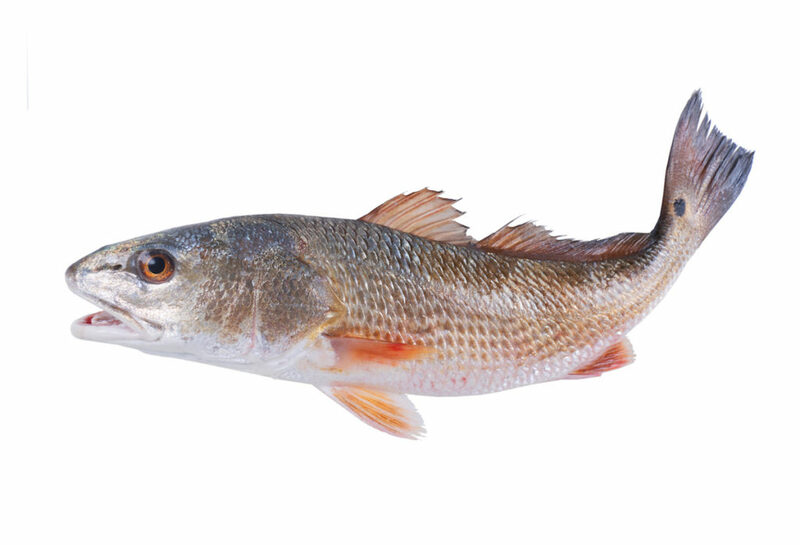 Large fish feed almost exclusively on other fish such as mullet, pinfish, pigfish and menhaden. This preference for large fish makes large trout difficult to catch. Large trout do not feed often and few anglers like to use 12-inch live mullet for bait. Trout are very delicate, so returning unwanted or illegal fish promptly to the water is necessary to maintain a healthy population. Trout have a clean fresh flavor and do not taste fishy with a very mild flavor and is a soft small flaked fish. Give Captain Brian a call today to schedule some time on the water catching these tasty fish!